The Yankees Can Solve Their First Base Problem Internally. 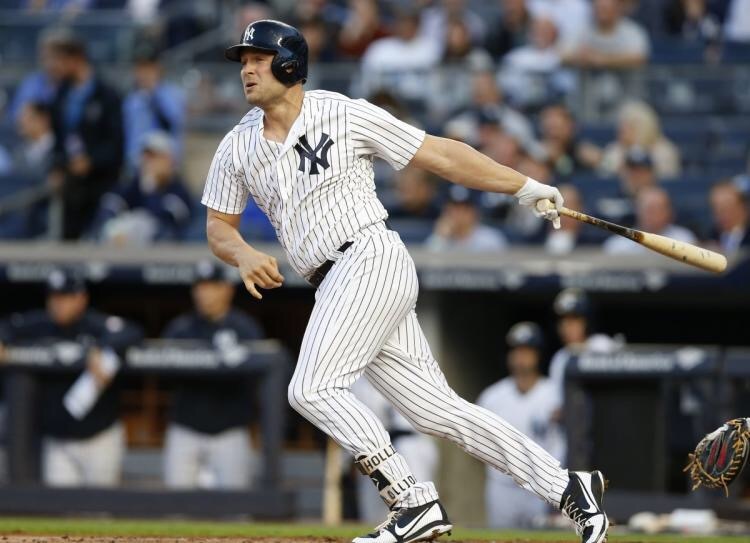 The Yankees offense has been spectacular this season, and its remarkable because they’ve done most of their damage without any help from Greg Bird and Gary Sanchez who were touted to be a three, four combo that would give pitchers headaches all year; however, Greg Bird has never been able to capitalize off of his hot start in spring training and is on the DL currently with a bad ankle. When Gary Sanchez went on the DL the Yankees were happy to find solid production from their back up catcher, Austin Romine who did a great job filling in for the injured Sanchez. The Yankees have not been as fortunate with their production at first base. Chris Carter has been a tremendous disappointment so far this season and has only picked up where Greg Bird left off. Their first base production is the worst in baseball, and it’s not even close. The Yankees have had a log jam of hitters to get in the line up. With the resurgence of Jacoby Ellsbury, and Brett Gardner. Plus, the hot start that Aaron Hicks has gotten off too. The Yankees have a log jam of potential offensive candidates that could contribute on a daily basis. By opening up the DH role to use Holliday at first you open up another spot in the line up. In the long run most Yankee fans will agree that they’re still optimistic about Greg Bird being a middle of the line up bat at some point this season, but with the struggles the Yankees are having filling that void at first base, and the depth on their bench they can use to increase their production at first base. Austin Romine- When Gary Sanchez was hurt, Austin Romine filled his role flawlessly. At one point Romine had the highest batting average among catchers in the league with at least fifty at bats. Romine has played first base a hand full of times and with Sanchez back in the Yankee line up the Yankees could use Romine at first a bit to take the burden off of Chris Carter at first. 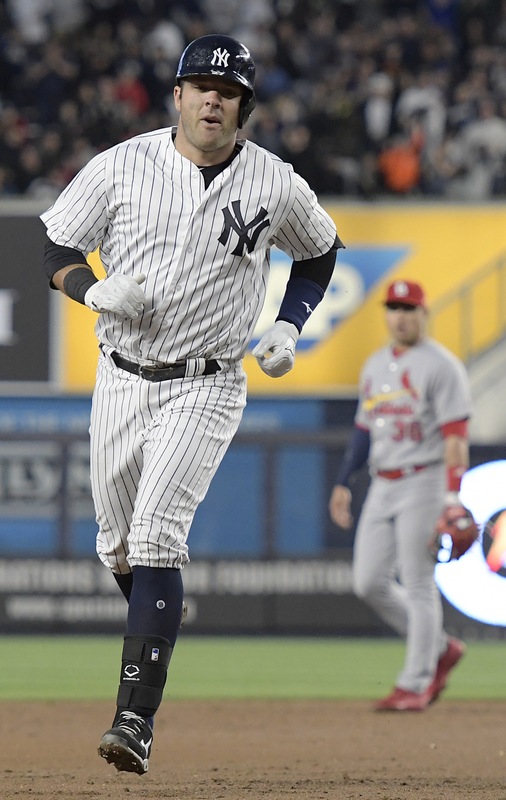 Matt Holliday- Potentially the best option for the Yankees would be to try and utilize Matt Holliday more effectively at first base. By letting Holliday play first you open the DH role up so you can play all four outfielders when they’re surging like they are now, or you could even use it to let Sanchez take a day off in the field. By opening up the DH spot and keeping Holliday in the line up the Yankees can really extend their line up. Holliday started at first in the 18 inning thriller at Wrigley and was able to hold his own defensively. Until Greg Bird gets it going the Yankees are strongest when Holliday is at first. 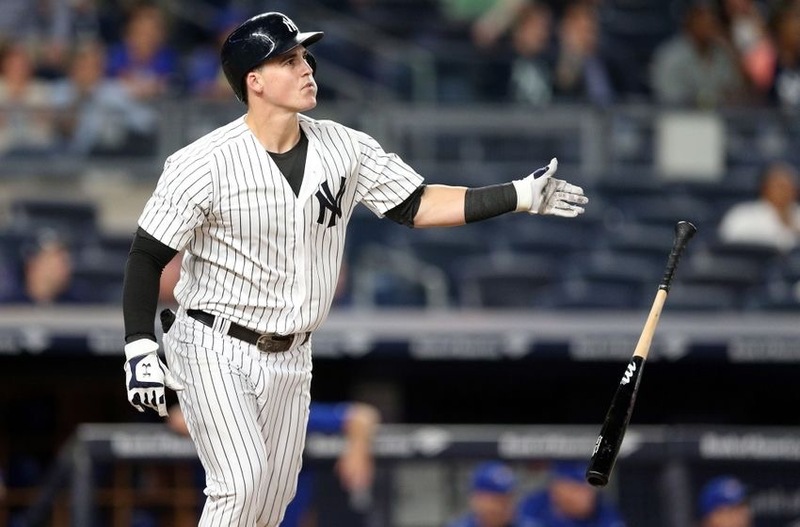 Tyler Austin – Don’t forget about this guy. Last year Tyler Austin showed serious promise at the end of the year. He hit the ball with authority and looked to at least contend with Greg Bird in spring training for the first base job. When he fractured his foot in spring training it made the Chris Carter deal look even better; however, Carter has since disappointed. Tyler Austin has missed a golden opportunity to this point in the season. He is expected to be back in July which was a far cry from the original 6 week diagnosis. This guy can still help the Yankees though, and could still fill in behind Greg Bird to make the Yankee bench even deeper. 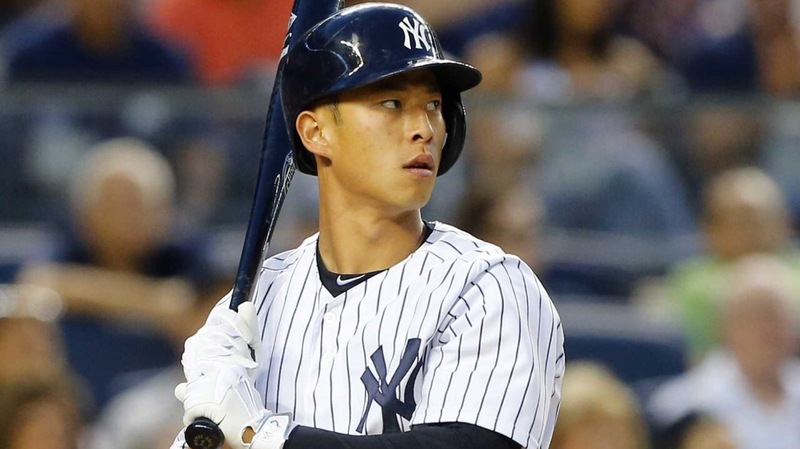 Rob Refsnyder- Once a top prospect in the Yankee organization, Rob Refsnyder’s time with the big league club has been nothing short of underwhelming. 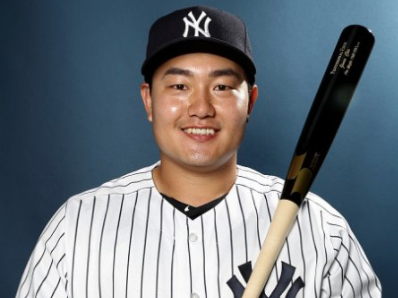 Though he saw some time at first base, Refsnyder will not likely be seeing much time in the Yankee line up this season even with the struggles they’ve had at first base. The more likely scanerio for Refsnyder is that he will be moved, or designated in general to eventually make room for Tyler Wade who is approaching rule 5 draft status for this off season. Ji-Man Choi: Nope, it’s not going to happen. Several Yankees fans have suggested why haven’t we seen Choi to this point in the season with the hot start he’s been off to in the minors. He’s not on the 40 man roster, he batted .170 over 110+ at bats with the Angels last season and he will not be added to the Yankee roster to try and fill a hole. The Yankees already have their flyer pick with Chris Carter, don’t expect the Yankees to pull Choi up this season. With the position the Yankees are in you certainly can’t complain, but the only thing that matters is that the Yankees continue to produce and win games. What you did doesn’t matter, it’s about continuing to produce and having players step up, so the quicker the Yankees can solve this first base problem the sooner they can breathe knowing they have a solution in place that is capable of producing. Previous Previous post: These AA Hitters Have No Chance..
Next Next post: Yankees Option Rob Refsnyder, Recall Chad Green.